Approximately 5,000 people toured the house that 4th of July weekend. Operation of the Nelson house is through the Poway Historical and Memorial Society (PHMS).The following information is provided by the PHMS. We hope this makes your tour through our house more enjoyable. Our docent will answer any other questions you might have regarding this house, the Historical Society, the Museum and the Heritage Park. June 27, 1883 the patent for this homestead was obtained by Niles Nelson. The home, which is now in the park, is not the home originally constructed in the late 1800s, but a later Nelson residence which dates to the early twentieth century. Mr. Nelson, who at one time served as trustee on the Poway School Board, died in 1921. In 1925, Helene Nelson, wife of the deceased and administrator of his estate, settled his final accounts. The farm was willed to the three Nelson children subject to a life estate of Helena Nelson. On October 2, 1930 the children Albert J., Oscar and Ida Nelson Stone, daughter, terminated the life tenancy of Helene Nelson, deceased. In 1943 the farm was sold to H. W. Frame of Poway Ranch. The	Frame family, Harry, Agnes and daughters Linda and Judy lived there from 1943 to 1956. 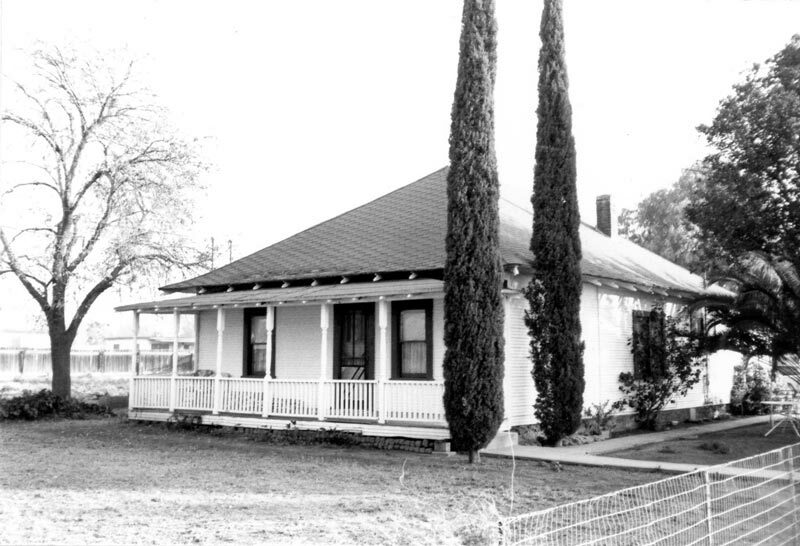 The home served as a rental from 1956 to 1959. It was then purchased by Leo and Meck Armstrong. They lived there until 1980 and then rented it out until 1987 when it was sold to Sun Cal Development. In 1988 it was sold to Imperial 11, then again in 1988 sold to Robert H. Jackson. In 1990 it was sold to Bodan, Inc. The City of Poway acquired the homestead, moved it from Garden Road to Old Poway Park, and in the fall of 1991 the City and the PHMS agreed to the restoration of this house. Niles Nelson, among the oldest settlers of San Diego County was born near Kongsberg, Norway on July 15, 1832. He was the son of Ole and Anneken (Stabeck) Nelson. In 1842 they sold their farm and made the long journey to the New World, bringing their family. The father died while crossing Lake Michigan. Mrs. Nelson had a brother who settled in Illinois in 1839 and the family therefore settled in that area.